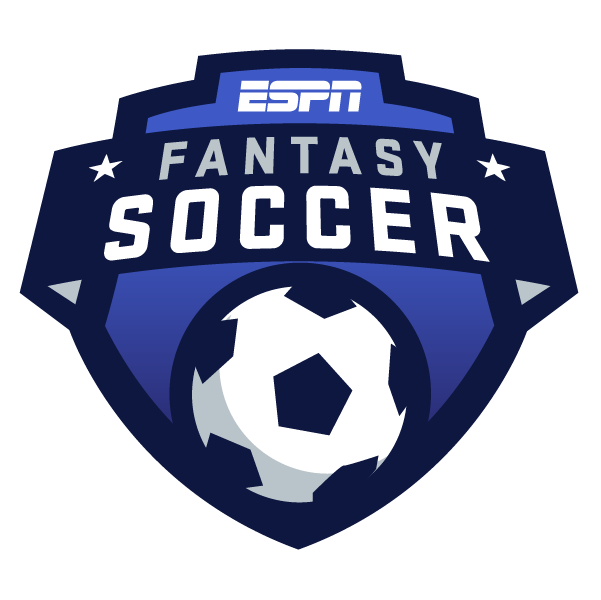 We've reached the first international break since the launch of ESPN fantasy soccer! Now, please don't get carried away ... I'm not saying Eden Hazard is as good as Lionel Messi. But fantasy-wise, Hazard has been almost as dominant in England so far this season as Messi has been in Spain. Through eight league games, Messi has six goals, four assists and 198.5 fantasy points -- 76.1 more than any other player in La Liga. In the same number of games, Hazard has seven goals, three assists and 179.8 fantasy points -- 48.2 more than any other player in the Premier League. It's not a large sample size. But given that he is playing under a new manager in Maurizio Sarri, and seems very well-suited for Sarri's 4-3-3 system, I'm expecting Hazard to continue to produce at a very high level. He had a goal and an assist this past weekend against Southampton, and took five shots, which is also encouraging. Hazard is going to be my Tier 1 midfielder most weeks for the time being, unless Chelsea has a difficult matchup. Surely no one doubts that Sergio Aguero is among the best strikers in all of Europe. His track record speaks for itself. Aguero has scored at least 20 league goals in each of the past four seasons for Manchester City. He already has five goals and two assists this season, and is second behind Hazard with 131.6 fantasy points. The big question I had about Aguero coming into this season was, how many games will he start? Aguero only started 22 league games last season, and at times it appeared manager Pep Guardiola preferred Gabriel Jesus at center forward. Well, Aguero has started all eight games so far this season, and has clearly put up good numbers. It is worth noting, though, that three of his five goals came in one game. And he's been taken off in six of those eight games -- including the past four, after 66 minutes or fewer each time. I'm sure I'll be picking Aguero as my Tier 1 forward some weeks going forward, but it's not as straightforward as it is with Hazard. It'll be more dependent on Manchester City's matchup. Mohamed Salah and Harry Kane were the leading scorers in the Premier League last season, with 32 and 30 goals respectively. And they finished first and third in fantasy points, with Kevin De Bruyne sandwiched in between them. Well, De Bruyne has been out since the season opener due to injury (although he's expected back soon). And it's fair to say Salah and Kane have not been nearly as good so far this year. Kane has been the better of the two -- he has five goals and an assist, and is seventh with 110.2 fantasy points. But Salah only has three goals and an assist, and is 13th with 106.7 points. Obviously there is some cause for concern here ... but don't go overboard. Kane has a great track record, too -- 29, 25 and 21 league goals in the previous three seasons, prior to last year. Salah made a huge leap in goals scored last season, but he's still third in the league in shots this year (32), and the league leader in expected goals (5.51). Kane is second in expected goals, by the way (5.40). So, don't give up on these guys. They are still very good Tier 1 forward options, especially when Liverpool and Tottenham are big favorites. Manchester United's Paul Pogba is fourth in the Premier League with 117.4 fantasy points. But, as I wrote last week, I'm still not convinced that he's a good option as a Tier 1 midfielder. Pogba is tied for fifth in shots (26), and leads the league in shots on goal (14). But he only has two goals, and both have come from the penalty spot (in the first two games of the season). I can't imagine picking Pogba over Hazard right now. The same goes for Pierre-Emerick Aubameyang and Alexandre Lacazette. Both had a brace in Arsenal's 5-1 win over Fulham this past weekend, and have four goals apiece on the season. But in my mind, they cancel each other out. Either one is capable of having a big game, but how often are both going to do so? Lacazette and Aubameyang have taken 19 and 16 shots, respectively. Kane has taken 26. Salah, as mentioned above, has taken 32. And Aguero has taken 38, three more than the Arsenal duo combined. I'd rather have a Tier 1 forward who I know is going to be the focal point of his team's attack. Wolves are much higher than Fulham in the table -- currently seventh, 10 places in front. But both of these newly promoted sides have been welcome additions to the Premier League, fantasy-wise. Wolves forward Raul Jimenez has two goals, three assists and 99.5 fantasy points, good for 14th place. Jimenez is tied for seventh in the league in shots (24), and 11th in expected goals (3.73). And defender Matt Doherty, who scored a goal this past weekend and had an assist the week before that, is 30th overall (and 10th among defenders) with 86.7 points (and currently available in Tier 2). Fulham are near the relegation zone because they've conceded 21 goals, four more than any other team. But forward Aleksandar Mitrovic has five goals, is second in the league in shots (34), and 10th with 108.7 fantasy points. Midfielder Jean Michael Seri has a goal and assist, is in the top 10 in passes completed (467) and chances created (16), and is 16th with 99.2 points. And midfielder Andre Schurrle has three goals, is fourth in the league in shots (29), and 23rd with 92.4 points (and currently available in Tier 3). As for Cardiff City, the other promoted side, their highest-ranked player is defender Sean Morrison -- 67th on the leaderboard, with 74.5 points. His team are winless, at the bottom of the table, and have only scored four goals in eight games. No offense to Cardiff fans, but I won't be sorry to see them go.